I enjoy teaching students of all ages and levels. Whether you are picking up the instrument for the very first time, reuniting with your flute after a long hiatus or you fall somewhere inbetween, I'd be delighted to help you on your musical journey. Laura began her musical studies at age four studying the piano. She later fell in love with the flute and began taking private lessons at age twelve in Toronto with Dianne Aitken and Douglas Stewart. As a teenager she attended the Domaine Forget Summer Academy where she was introduced to the French style of playing which inspired her to move to Paris and study with the late Alain Marion. While in France she continued her studies with Philippe Pierlot, Vincent Lucas and Francois-Xavier Roth. She later attended the Royal Northern College of Music, studying under Peter Lloyd. In addition, Laura has had private lessons and participated in masterclasses with Robert Aitken, Genevieve Amar, Yosi Arenheim, James Campbell, Lise Daoust, Raymond Guiot and Ryu Noguchi. She recently completed her masters in music performance at the University of Victoria where she was the recipient of The Martlet Chapter Graduate Scholarship and Graduate Award. Laura has won numerous competitions including the Concours Européen de Musique, the Prix de la Ville de Paris and the Mary Gardiner Award for Contemporary Music. She has held positions with l’Orchestre Hector Berlioz and l’Orchestre de l’Opèra Comique and has appeared with the Esprit Orchestra. Since moving to the west coast she regularly performs as a soloist and with a wide variety of chamber ensembles including The Elektra Women’s Choir, The Surrey Children’s Choir and The Borealis String Quartet. She was a founding member of NOVO Ensemble, a dynamic, young group, featuring classically trained instrumentalists who specialize in contemporary works performed in intimate and unusual spaces in and around Vancouver. She is also an active orchestral musician who has appeared with The Vancouver Island Symphony, Victoria Symphony Orchestra, Pacific Opera, Palm Court Light Orchestra, Victoria Operatic Society, Vancouver Metropolitan Orchestra, Vancouver Oratorio Society and the Vancouver Opera. Since her professional debut, Laura has been actively involved in teaching music. She is a frequent guest teacher at St. Michaels University School, Pacific Christian School and Bodwell College where she has given flute masterclasses and clinics. 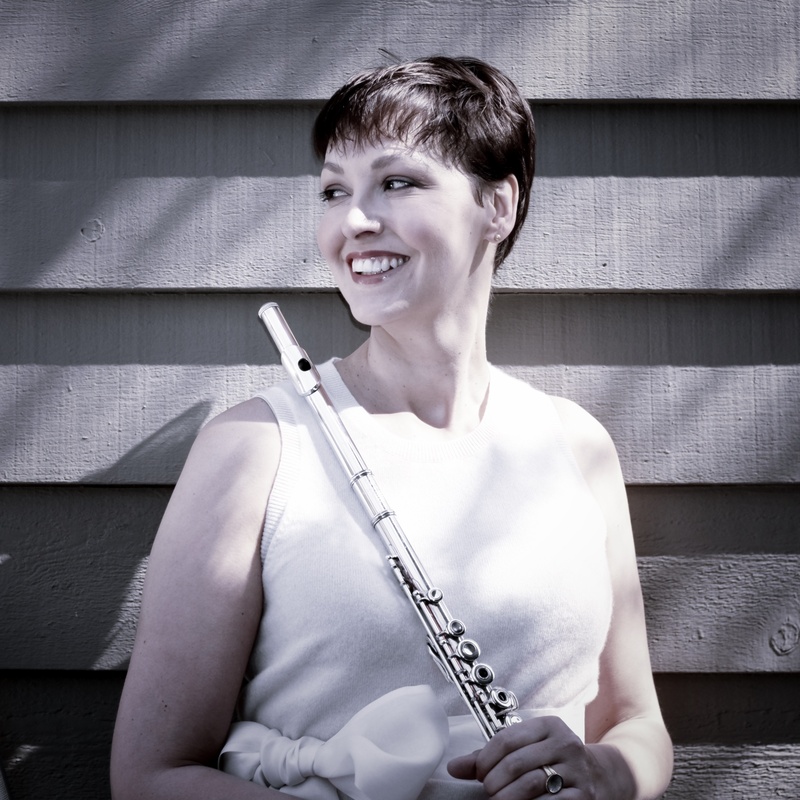 She has also taught flute and coached chamber music ensembles at The University of Victoria and participated in the Blueridge International Chamber Music Festival. She currently has a thriving studio of flute students of all ages and abilities and offers flute workshops in Greater Vancouver Schools. Laura also enjoys travelling and curling up with a good book!